April Easter 2011 019, a photo by shaunadieter on Flickr. This Easter we went to Cedar Rapids to have dinner at Jason and Brynna's house and to Clare's for the egg hunt. 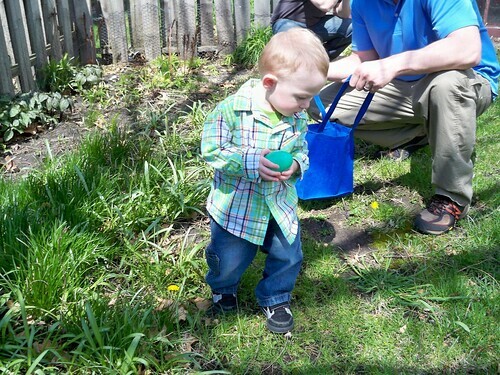 The kids had a great time finding all the eggs. (the candy was good too).